Based on the Spotify model, streaming e-book subscription platforms are tricky to monetize properly for publishers — though they appear to be inevitable. MADRID: Yesterday I offered two different points-of-view on whether the streaming, cloud-based Spotify model was suitable to the book world — the first, from the reader’s angle, and the second one from the author’s standpoint. Today I will focus our attention on the publisher’s point of view. The Spotify model which has been so successful in the music industry is not directly applicable to the book world. 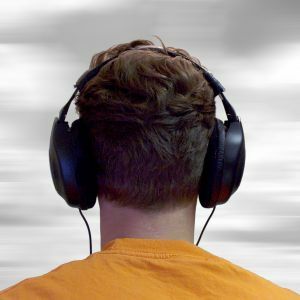 The key to success of a platform offering free content in streaming resides in getting a large number of users to listen to music throughout the day. In other words, the high frequency of access to the platform by a broad number of users makes it very attractive for advertisers. Unfortunately, books do not even raise half the interest created by music. According to various indicators, about 50% percent of the Spanish population does not even read one book per year. This gloomy statistic means that book platforms managing business models based on the Spotify concept would not even accumulate a quarter of the traffic generated by similar platforms with music content, films or television series. This low number or readers, compared with the large number of music listeners, would also have an impact on attracting advertisers. In the analogue world, magazines relating to books and cultural supplements have always had difficulty in attracting advertisers outside the cultural sector. Most of these publications only secure advertising from public entities, certain museums or publishing companies. If you browse through these publications, you will note the lack of diversity and limited number of advertising insertions. Car brands, luxury products and travel agencies have not been included in the media plans for magazines about books or in cultural for the last two years. It would appear that most advertisers’ media plans tend to disregard the cultural supplements of cultural supplements that come as part of a larger publication -– such as Babelia of EL PAIS, the cultural supplement of EL MUNDO, the ABCD supplement of the ABC or el Culturas of LA VANGUARDIA — given the scarce number of readers, estimated in some cases to be around 15,000 to 20,000 per week. Procuring advertisers is highly important for these kinds of business models since advertising is their main source of income. Various studies indicate that only about 5% to 15% of users are prepared to pay a certain amount of money for access to content; the rest will never pay any at all. It would appear that this scarce number of paying users would render a business model based on the freemium concept in the book world unsustainable. According to the freemium concept, a few users pay in order to use the content comfortably with various privileges, while most users are satisfied to use the same content free of charge but with certain limitations and inconveniences. The recent decision by the managers of the Spotify platform to reduce the number of hours of free access to their content means that the current offer of free and unlimited access to all the content is not sufficiently profitable for all the parties involved (managers of the platform, artists and record industry). From the 1st of May onwards, any user of Spotify Free or Open will be limited to 10 hours per month of free listening to their favorite tracks and will only be able to listen to the same track 5 times. The purpose of these limitations to free content is to encourage users to subscribe to payment licenses. We will see the results of this within the next few months although many of the current Spotify users will migrate to other streaming alternatives to listen to music with fewer limitations since they will not be prepared under any circumstances to pay for the use of this online content. In the context of adapting the Spotify model for books, it seems that readers’ behavior (lower number of reading sessions compared to the number of daily music listening sessions, smaller number of potential users and advertisers interested in the “consumer” profile of readers, etc.) would make the idea of offering free access to a broad catalogue of books in exchange for assumed advertising profits unsustainable. One of the main sources of income for publishers in the digital era would undoubtedly be to pay for streaming rights to reading –- it should be borne in mind that Spotify has managed to become the second source of digital income for the music industry in Europe after iTunes in only a few years. However, the key for authors and publishers, rather than whether or not to collaborate with these business models is when and how to do so. Javier Celaya is the vice president of the Spanish Digital Magazines Association (ARDE), Director of the Digital Publishing Master of The University of Alcala (Madrid) and CEO and founder of Dosdoce, an online portal analyzes the use of the new technologies in the cultural sector and publishes annual studies related to trends in the Spanish publishing sector. DISCUSS: Is an “À la carte” E-Book Subscription Model Viable for Trade Publishers?